Food plays a central role in all celebrations in China and especially that of Chinese New Year. 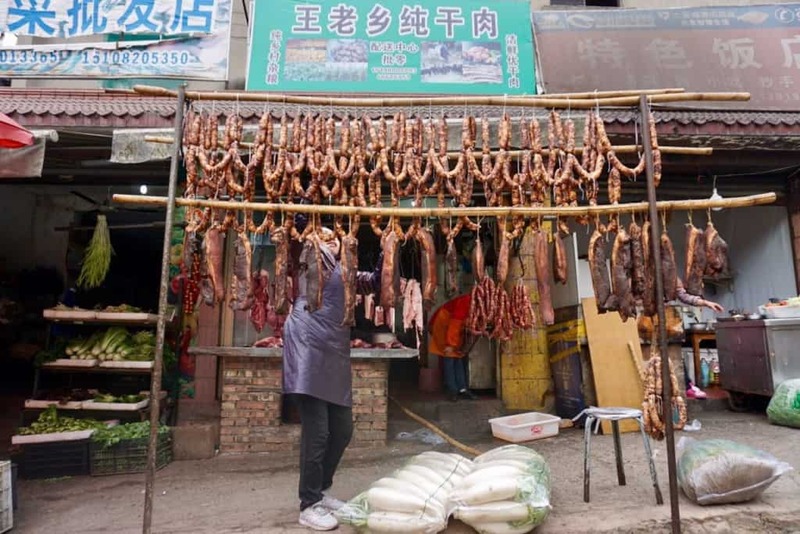 Unlike the ‘Thanksgiving Turkey’ or ‘Christmas Ham’ which are cultural standards in the West, festival foods can vary greatly from region to region in China, and certain dishes hold greater meaning in certain areas. In fact, each village and each family may have its own traditions beyond that of the region. 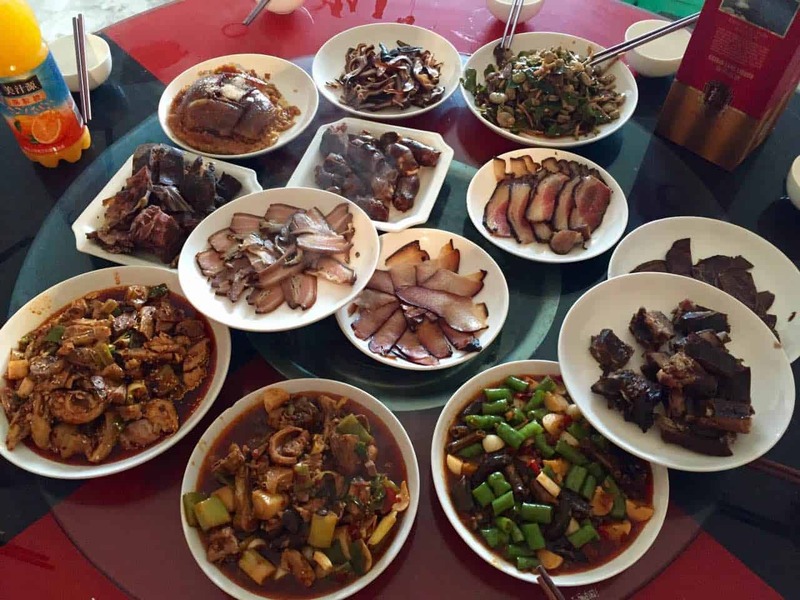 In Sichuan, lunch not dinner is the most important meal, and it is the main feature of the celebration. It’s also where the drinking takes place. Lunch will often be a more elaborate meal, but it doesn’t end there. 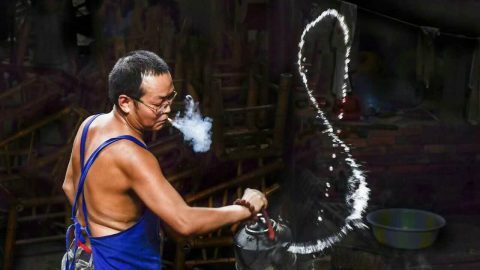 As with any celebration in Chengdu there will be an afternoon intermission filled with majiang, sunflower seeds, tea, and probably cigarettes, before places are resumed at the table for a more casual, dinner. You have seen the spiced, cured sausages and smoked pork bellies and ribs hanging around the city since the weather got cold, and the New Years feast is where they really get to shine. Each family usually makes their own, based on handed down family recipes, and the ritual of curing, drying and smoking play an important role in the lead up to the New Year as well. They are served on their own, steamed or boiled, then sliced thinly, as a sort of meat platter. An abundance of meat shows prosperity, and meat in general will play a big role in the annual celebrations. 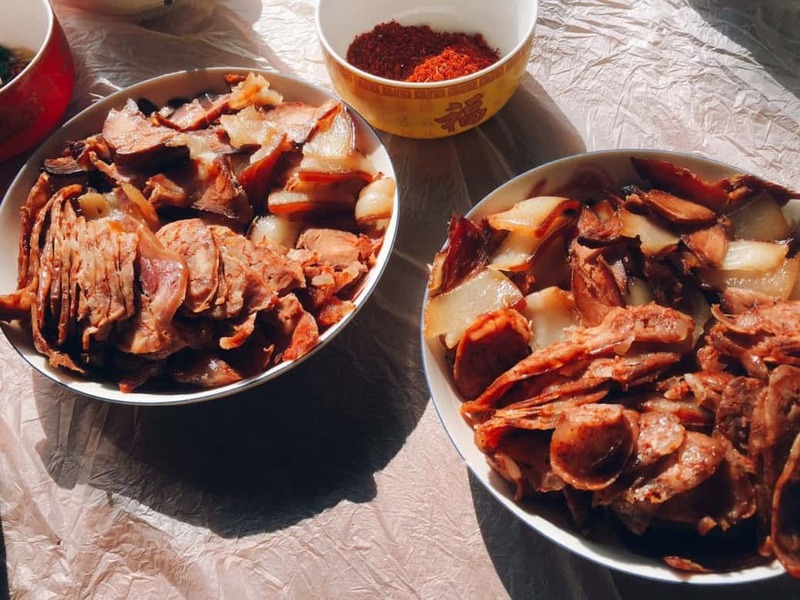 Smoked meat and sausages are sacred to the Sichuan tradition and their flavor synonymous with the taste of the Spring Festival here. Traditionally at the New Year a chicken would be slaughtered and its blood spread in front of the doorway of a family’s house to repel evil spirits. Then it is cooked up to eat.. While this still happens in the countryside, most families in the city will do without the slaughter and skip straight to the cooking part. 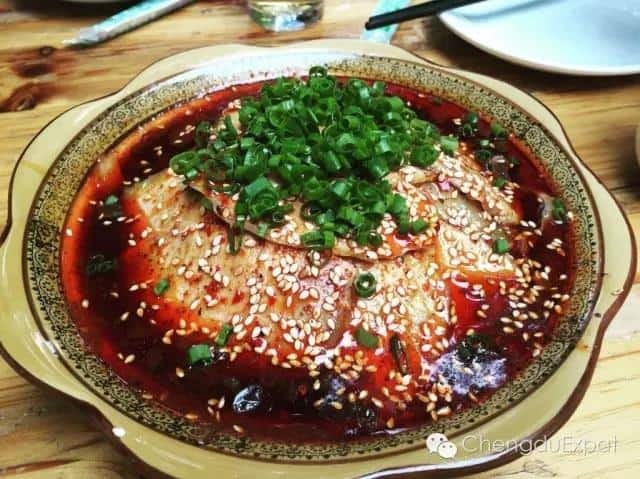 In Chengdu it is most commonly served mixed cold in chili oil 凉拌鸡or red-braised with garlic scapes which are in season. Other families insist on making a chicken stew or soup 炖鸡 or even on having one male and female chicken. 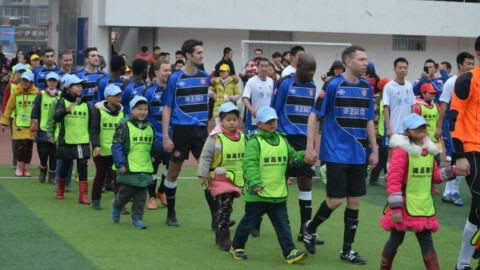 Regardless of how its prepared, chicken (in fact most commonly in Sichuan a 1 year old rooster), will be on the table. The word for fish Yu 鱼 is a homonym for the word for surplus or profit 余 and its a national tradition to eat fish on the New Year representing the year ending in surplus. The fish must be kept whole, but preparation styles change from place to place. 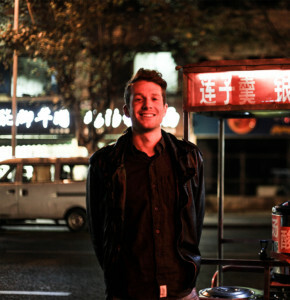 Boiled, or steamed, or fried, in Sichuan its usually served spicy or in a douban （豆瓣）sauce. 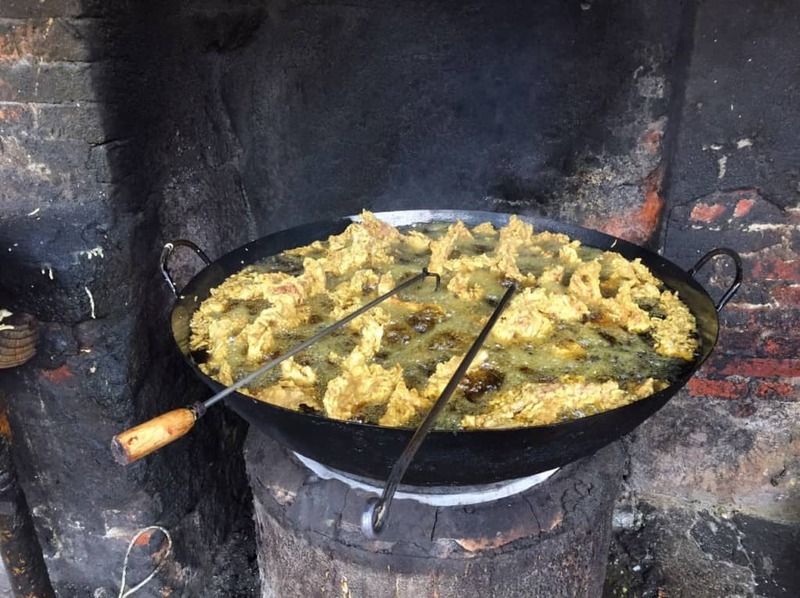 Deep fried, spiced, fatty pork is prepared by each family and served during the feast. It can be served crispy on its own with a side of crushed chili, though most commonly its served in a soup – which makes it not crispy at all, but still delicious. Often made en masse, it also serves as an easy gift when visiting other families or family members along side strings of sausages and bags of smoked meat. 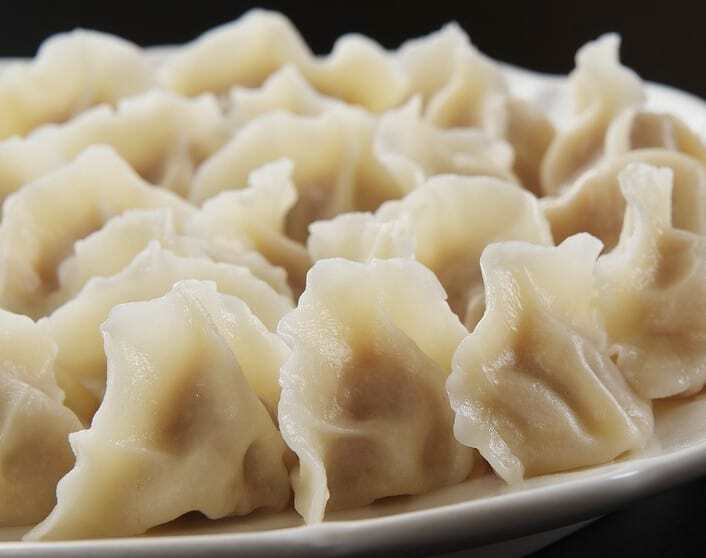 Preparing dumplings 饺子 for the New Year is primarily a thing of North China, and it doesn’t feature prominently in Sichuanese traditions (Read more about that here) . 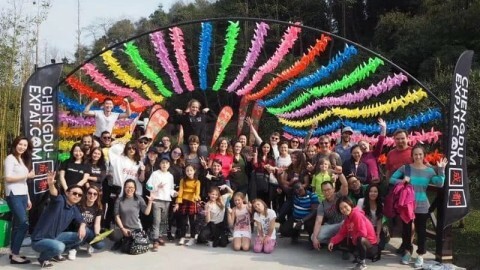 Sichuan is, however, a land of immigrants and many people here are of northern decent, and so its not uncommon that families across the province (and country) still practice this tradition. 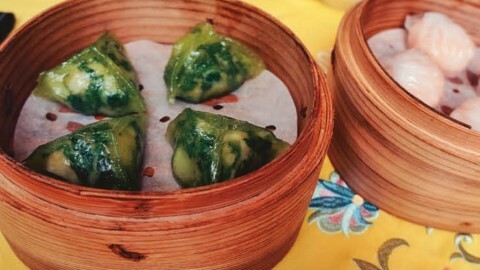 Dumplings, however, are usually eaten on the last day of the lunar year, and not during the New Years Day feast itself. As with celebrations across the world, for many families drinking also plays a role in the festivities. Whole families gather together and toast to the fortune of the family and things to come in the year ahead. 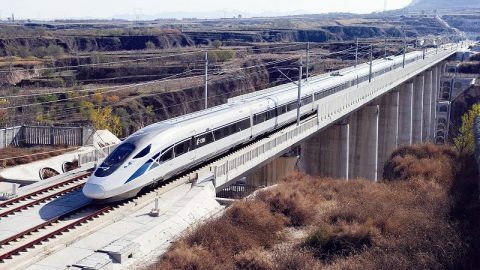 This is the time to bring out that fancy bottle of WuLiangYe or MaoTai you’ve been saving up and enjoy it with loved ones. The flavors also compliment the sausages and smoked meat very nicely. 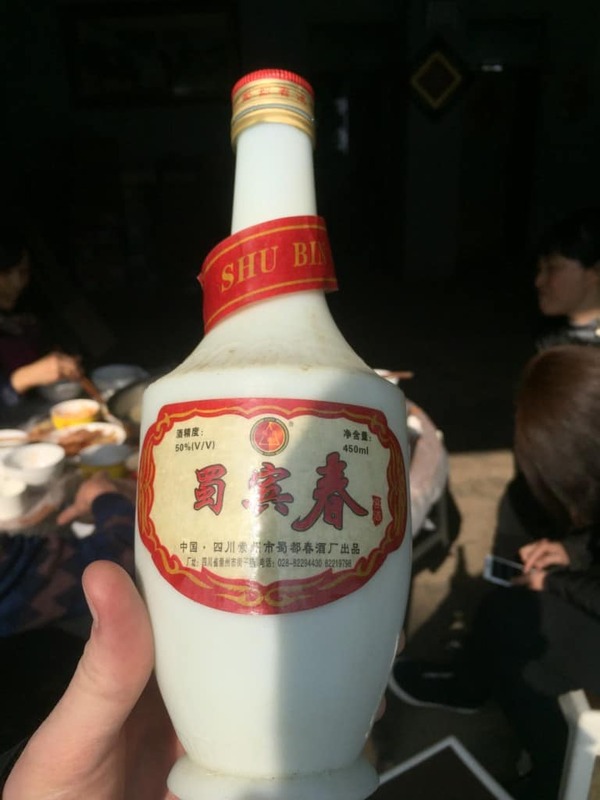 In cooler areas, and for the evening meal, a ‘mulled beer’ 煮啤酒 may also be made. Local beer is boiled with ginger, goji berries, rock sugar and fermented rice for a warm, boozey beverage that keeps you peppy in the cool of the evening.